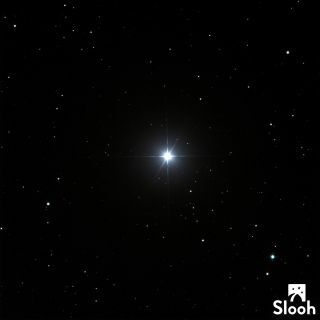 The bright North Star, Polaris, from Slooh Observatories. What cosmic light could have guided the Three Wise Men to the newborn baby Jesus 2,000 years ago? Learn about all the theories in a free webcast today (Dec. 23) by the online Slooh Community Observatory. During the show, experts in both religion and astronomy will discuss what the famous Star of Bethlehem might have been: Was it an actual star, a comet, a planet or something else? You can watch the webcast at Slooh.com, beginning at 8 p.m. EST (0100 GMT). The webcast will feature Slooh host Eric Edelman, Slooh astronomer Paul Cox, Fr. James Kurzynski, who is a Catholic priest and a blogger for the Vatican Observatory, and astronomy journalist and author Bob Berman. "Both Berman and Fr. Kurzynski have written extensively about the potential culprits behind the famous Star of Bethlehem. They’ll share what they’ve learned, as well as their personal beliefs, live on the air," Slooh representatives wrote in a statement. Cox will "teach viewers how they too can hunt for comets, and other astronomical objects, using Slooh’s observatories," they added. Viewers can join in on the show, ask questions and express their own theories by tweeting them to @Slooh or by joining the live chat on Facebook.